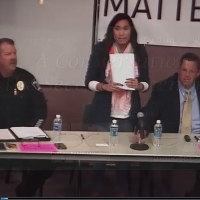 A Conversation on the Second Amendment panel was held at Great Basin College on Wednesday, 14 September 2016, in honor of Constitution Day 2016. All rights reserved. Use of any content only by express permission of Great Basin College © 2016. 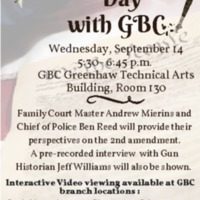 Great Basin College, “A Conversation on the Second Amendment: Constitution Day with GBC 2016,” Digital Humanities of the Great Basin at Great Basin College, accessed April 25, 2019, https://humanities.gbcnv.edu/omeka/items/show/295.